In his December 6 address from the Oval Office, President Obama rightly called for action to "make it harder for people to buy powerful assault weapons, like the ones that were used in San Bernardino." Assault weapons, like the two pictured above in a police photo of the weapons used in San Bernardino, are a relatively new addition to our nation's gun larder. Prior to the mid-1980s, revolvers dominated the handgun market and most rifles and shotguns were designed for hunting or sport. Even most law enforcement agencies still relied primarily on revolvers and standard (non-military-style) long guns. But in the 1980s and 1990s, the gun industry, desperate to lift sagging sales, introduced U.S. gun buyers to assault weapons with detachable high-capacity ammunition magazines. Most of these were semiautomatic versions (firing one bullet per trigger pull) of fully automatic (the weapon will fire as long as the trigger is depressed) military weapons. They quickly became the "must-have" item for a segment of America's gun-owning population: both law-abiding and criminal. Soon, MAC-10 and TEC-9 assault pistols, as well as AR-15, AK-47, UZI and SKS assault rifles were the desired weapons of the drug dealers that drove the crack cocaine market of the late 1980s and early 1990s. These guns were favored not just for their increased firepower, but their ability to intimidate. The inevitable result of introducing weapons originally designed to inflict as many deaths as possible in as efficient a manner as could be imagined was soon seen. The modern era of mass-casualty public shootings was inaugurated when James Huberty decided to go "hunting for humans" with an UZI Carbine at a McDonald's restaurant in San Ysidro, California on July 18, 1984. This whole new category of civilian firearms -- semiautomatic pistols, rifles, and shotguns derived from military designs -- helped drive gun sales. And gunmakers never looked back. Today's gun industry, which for generations was defined by selling firearms for hunting and sporting use, now embraces maximum lethality as its lodestar. And since that horrific attack at McDonald's in 1984 that left 21 dead, including numerous children, and 19 wounded, the list of towns and institutions that will forever be associated with mass shootings continues to grow: Cleveland Elementary School in Stockton, California; Columbine High School in Littleton, Colorado; a hunting camp in Birchwood, Wisconsin; a mall in Omaha, Nebraska; an IHOP in Carson City, Nevada; a movie theater in Aurora, Colorado; Sandy Hook Elementary School; a military installation in Chattanooga, Tennessee; Planned Parenthood; and now San Bernardino. But mass shootings are only one symptom of the gun violence epidemic that plagues America. Thirty-three thousand times a year, 92 times a day, Americans die in what has come to be viewed as "normal" firearms violence: suicides, homicides, and unintentional deaths -- the bread and butter of gun death in America. 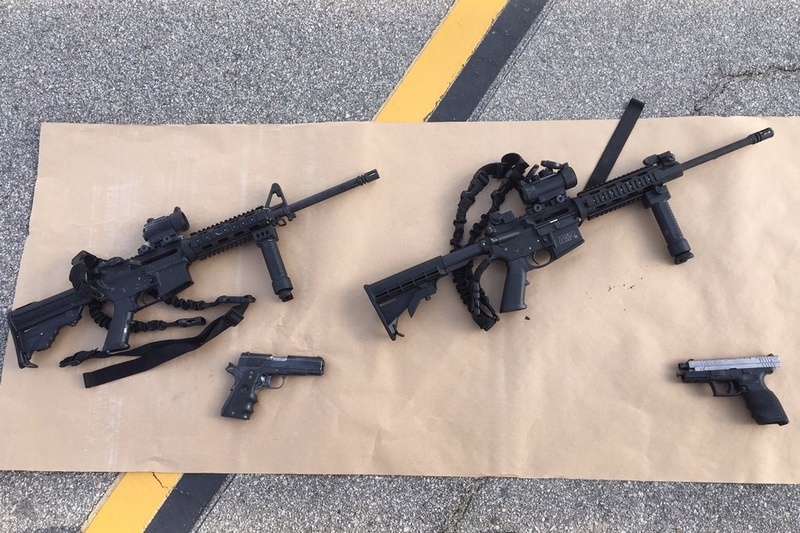 In the immediate wake of the San Bernardino shooting, one question repeatedly asked was: Were the shooters terrorists? Just as important is the question: Why does it matter? Are the lives ended any less tragic, the injuries suffered any less horrific, because of the given ideology of a mass shooter? If our decades-long national experiment of pouring increasingly lethal guns into our society should have taught us at least one thing, it's that it is virtually impossible to predict who the next shooter will be, and what motives will drive him or her. What we can do is limit the firepower in civilian hands, and banning assault weapons and high-capacity ammunition magazines is an important step in stopping such carnage. In America today, if you have a relatively clean criminal record and a credit card, you can easily outfit yourself for war and even build your own army. That's a fact. And while an outside observer might assume that the gun industry would work to hide this disturbing reality, they actually promote it with marketing strategies that constantly hawk their guns amid military images and language. In just one example among all too many, the DPMS assault rifle used in San Bernardino is marketed with the slogan, "Built to be as Tough as the Mission Ahead." Even if your "mission" is gunning down your coworkers, fellow students, or just unlucky strangers. Access to this level of firepower emboldens common criminals, mass shooters, and terrorists alike. It makes them feel confident that they can confront law enforcement and other first responders. Those who ignore President Obama's call to ratchet back the tremendous firepower currently sold legally in America's gun stores only ensure that San Bernardino will be just a brief stop until the next community is rocked by tragedy.